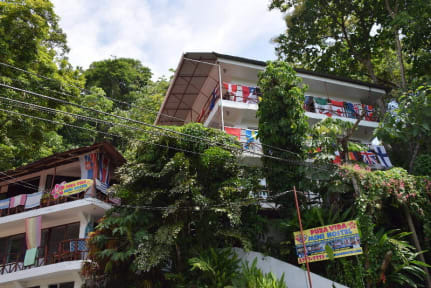 Pura Vida Hostel Manuel Antonio i Manuel Antonio, Costa Rica : Boka nu! Nice hostel in a good location. But the best thing about it is the staff. 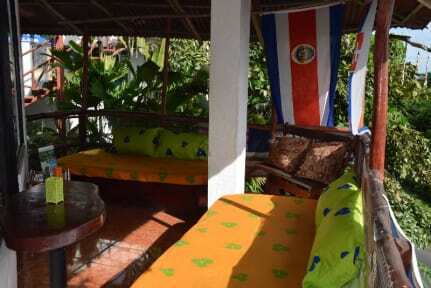 Everyone gave us plenty of advice on what to do in Manuel Antonio. One in the staff, Daniel also gave us plenty of advice on other parts of Costa Rica. Also Daniel went out of his way to help me when I, a typical forgetful tourist, managed to leave my ebook behind. So we'll, big thanks to him for making my life easier. Didn't expect that kind of service. Worst mattress I have ever slept on. Staff openly talking drugs inside, no control over who came inside (not just guests) curtains were see through. Staff not paid, so they are friendly, but there is an unprofessional vibe. Good for parties.